Today's Fun Find is limited to folks in the Austin, Texas metro area. But that doesn't mean we can't drool over it! 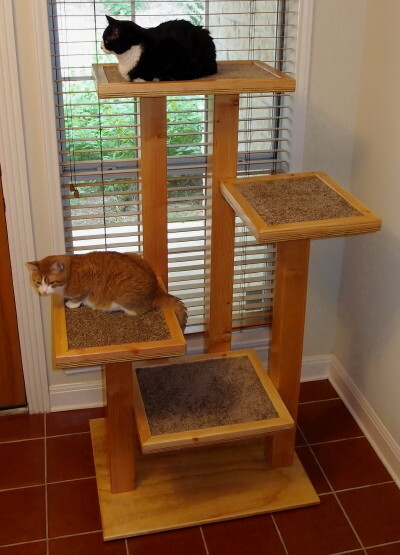 This magnificent cat tree is made by the Cat Carpenter, David Murphy. David's the Director of Sanctuary Operations for the no-kill Shadow Cats Sanctuary in Round Rock, TX (a suburb north of Austin). 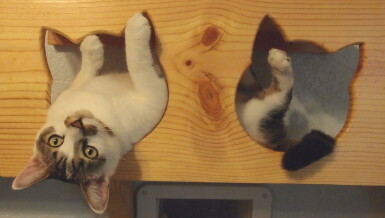 David has made several of these lovely cat trees for Shadow Cats and the kitties adore them! If you live in the Austin metro area, you can have one of your very own, custom designed to fit your home. While you're drooling over these photos, click on over to Shadow Cats and check them out. From time to time, they hold online auctions, and if you have a few extra pennies to spare, you can sponsor one of these lovely sanctuary cats. Many thanks to David for sharing his story with us - and we so wish we lived closer so we could get one of those cat trees! Now they are cool. How clever. Wow, those are AMAZING cat trees and tunnels! We wish we lived close to Austin! Both the trees and the shelf´s is cool ! HAppy weekend to you ! Doods! 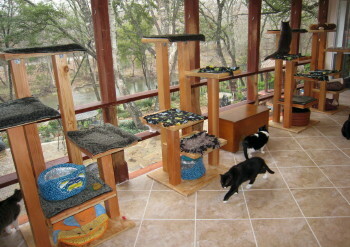 Hint:If you look on David's web page under the 'Cat Trees' section he pretty much shares the instructions in the description so people outside the Austin area can build them! In fact on their FB page(Shadow Cats)today they have piccies of one a lady built from his "instructions" off his site. 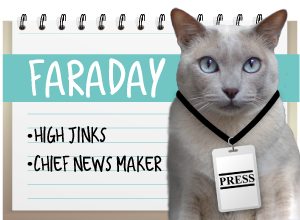 I LOVE David and Shadow Cats, it's such a pawsome place and so dedicated to all the kittehs (they have 2 fun live cams to watch,Cookie's Place is for the Felv kittehs). Anyhoo..David and all their volunteers are tireless in their care and dedication to all the Shadow Cats. I want a tree so bad but mom even with instructions is hopeless at manual labor stuff. Well that is definitely in my neck of the woods! I'm here in Round Rock. Love the shelves! 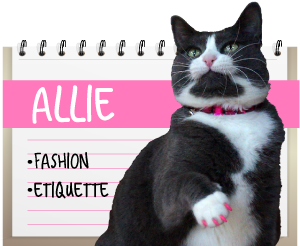 Of course, all of it is awesome and the kitties really seem to be enjoying themselves! Wow - now those are some cat trees! Oh my cod we need those!!! I saw these somewhere and might even have pinned it. Maybe Hauspanther. whoa! those are cool! we don't have that here. wish i have one. Ok here's da linky to da plans for da cat trees dat David makes, the link is found under "Resources" on the shadowcats.net website. 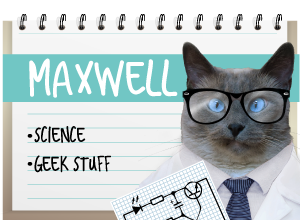 David says he's very happy to share-they're cat tested and approved by the most demanding cats! 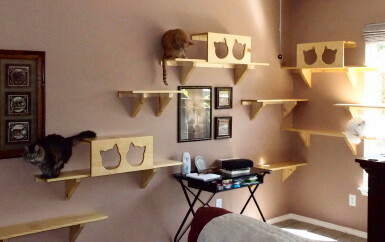 These are some awesome cat trees. I especially love the cat shelves. That was a wonderfully creative idea!